Sonodyne SM 300 L,R - 3 Way Active Reference MonitorOVERVIEWDuring summer 2010 we set ourselves a challenging task - that of designing a high quality active loudspeaker that would combine the detailing of the award winning SM 100Ak with the dynamics ..
Sonodyne SM 3200 - 3 Way Active Reference MonitorOVERVIEWThe SM 3200 is a powerful, new triamplified loudspeakerHeavily braced MDF-aluminum hybrid enclosureRotatable aluminum die-cast waveguide for mid and high frequency3 x Class AB MOSFET output amp..
Sonodyne SRP 350 - 2 Way Active Reference MonitorOVERVIEWThe SRP 350 is the starting reference. In a world where majority of music is experienced via multimedia, this SRP serves as an ideal reference. It is also an excellent solution for high quality..
Sonodyne SRP 400 - 2 Way Active Reference MonitorOVERVIEWThe SRP 400 is the most compact active reference monitor in the new SRP line. It is an excellent reference to understand how mixes translate to smaller speakers. The enclosure is pressure die c..
Sonodyne SRP 500 - 2 Way Active Reference MonitorOVERVIEWThe SRP 500 is a new compact near field active reference monitor. This SRP excels at monitoring effects and other such subtleties in the mix. The enclosure is pressure die cast aluminum that ma..
Sonodyne SRP 600 - 2 Way Active Reference MonitorOVERVIEWThe SRP 600 is a new near field active reference monitor. This SRP adds loudness, clarity and bottom end to the compact SRP 500. 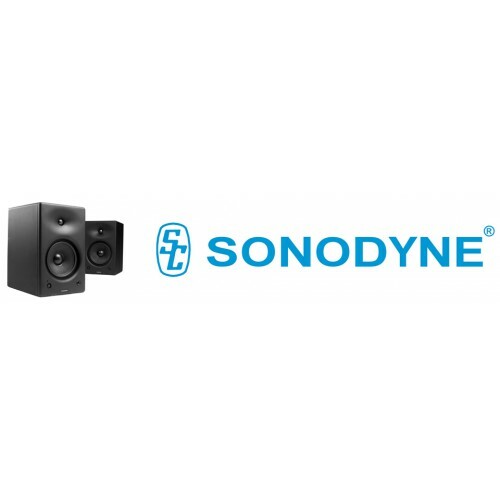 The enclosure is pressure die cast aluminum that maximizes rigid..
Sonodyne SRP 800 - 2 Way Active Reference MonitorOVERVIEWThe SRP 800 is a new high power active reference monitor. This SRP is excellent for loud monitoring without any audible loss in detail. The enclosure is pressure die cast aluminum that maximize..